The murder case pulls our neighborhood lawyer out of his pitiful funk, and thank heavens for that, because he truly does shine in the courtroom with his zany charisma and undeniable smarts. His return as a disgraced prosecutor-turned-lawyer starts out a little bumpy, but his moral compass is as straight as ever. Jo Deul-ho is back and he won’t be leaving anytime soon, not until justice is served. We rewind a bit, and see our ex-prosecutor Deul-ho determinedly marching up the steps to the courthouse for the first time in three years. He’s cleaned himself up nicely—beige trench coat, suit and tie, hair styled up and spiky. There’s no trace of his former homeless and bedraggled self. A series of flashbacks run through his mind, and we learn that Deul-ho knows who the real culprit is in the murder and arson case that he’s about to take on: the son of Chairman Jung, the powerful man behind Deul-ho’s downfall. Deul-ho’s friend Il-gu was about to take the fall for Chairman Jung’s son, and Deul-ho’s whistleblowing tendencies as a prosecutor cost him his career, but this time he’s back as a lawyer with nothing to lose. He bursts into the courtroom as the trial is about to begin and announces that he is the defendant’s lawyer; he holds up a signed document justifying his presence. 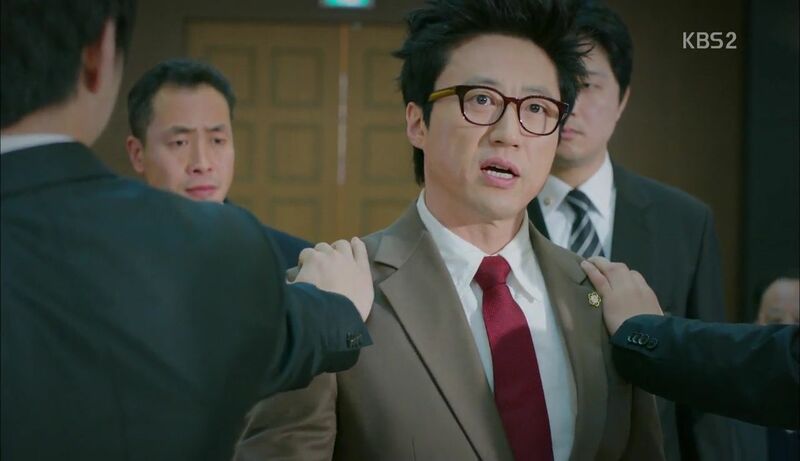 Prosecutor Ji-wook is shocked by Deul-ho’s return, and the defendant’s attorney, our newbie lawyer Eun-jo, is thrown by this random individual. It turns out that the defendant, Mr. Byun, agreed to have Deul-ho represent him, which makes Eun-jo and Deul-ho co-counsel. She’s flabbergasted by this sudden turn of events. The trial begins with Ji-wook charging Byun with one count of arson and murder in the 2013 death of Mr. Noh, who was Byun’s fellow acquaintance from the homeless shelter. Ji-wook argues that Byun killed him in a drunken, rage-fueled argument and lit the victim’s body on fire. Deul-ho and Eun-jo both get up at the same time to reject the charge, and it couldn’t be more awkward and uncoordinated. Deul-ho looks familiar to Eun-jo and it finally dawns on her how she knows him—he was the homeless man for whom she bought five rounds of ribs! A crime scene investigator is brought to the stand to share his thoughts. The investigator explains that the fire originated from the first floor and the second floor, although charred, wasn’t nearly as damaged or engulfed by flames. Byun’s burn wounds on his back could only have happened from falling debris, which puts him directly at the scene of the crime on the first floor of the building. It’s the defense’s turn for a cross-examination, and Deul-ho gets up before Eun-jo can. He’s looking a bit uncertain when his assistant Ae-ra enters the room and offers him a “fighting!” of encouragement. We see that she had eased his nerves with a pep talk moments before. Deul-ho begins by asking the investigator if anyone would immediately jump out of a second-floor window because of a first-floor fire. He claims that doing so is a terrifying act and would most likely happen as a last resort option. Wouldn’t he want to assess the severity of the fire on the first floor before determining the way out? And isn’t it possible for debris to have fallen while he was going up and down the stairs amidst the chaos of flames and smoke? Deul-ho succeeds in disproving Ji-wook’s claim that injuries from the fire could never have happened on the second floor. The investigator concurs that people trapped in a fiery building would explore other, safer methods of escape; jumping out a window would not be their first instinct. He also agrees that it’s possible Byun could’ve sustained his injuries while frantically moving between floors. It looks like Deul-ho’s got his groove back, that is… until he returns to the prosecutor’s side of the courtroom and almost sits on top of Ji-wook, much to the amusement of the room. A man who knew Byun from the homeless shelter is on the stand, and he maintains that Byun was an easy target because of his gentle nature. The victim would always harass Byun or steal his money. The man recalls Byun expressing his desire to kill the victim, but the man figured it was the alcohol doing the talking. Ji-wook steps in and declares that five years ago, Byun had set fire to his own restaurant after being forced to shutter his business. Murmurs of surprise and disapproval spread throughout the room. This prior transgression is news to Eun-jo, and the prosecution succeeds in painting Byun as guilty. Deul-ho realizes this and spots Ae-ra sending him a series of animated hand gestures. Her message is delivered, and he quickly gets up and feigns sickness in the realm of indigestion and imminent toilet doom. 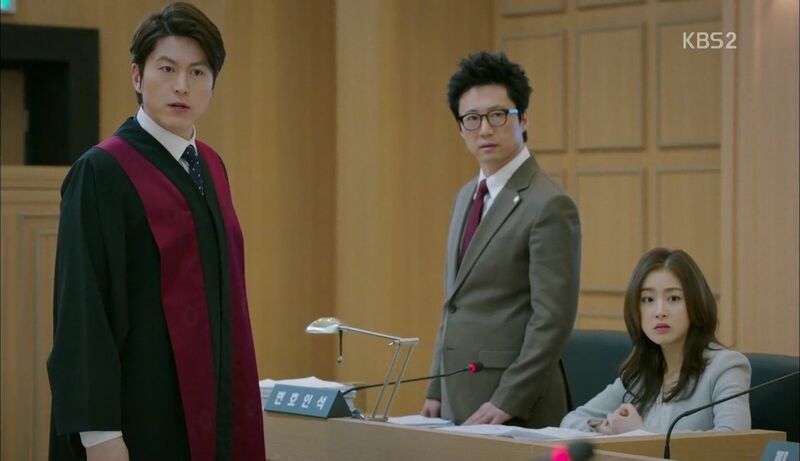 The judge reluctantly grants Deul-ho a break, and the trial is halted temporarily. In the restroom, Ji-wook chides Deul-ho’s foolish audacity and tells him that winning this case won’t fix his broken life. Deul-ho is unfazed since he knows who the real culprit is. He deliberately wipes his hands on Ji-wook’s suit before exiting. The trial is back in session, and Eun-jo cross-examines the man from before. Deul-ho is alarmed that she’s going with the diminished capacity defense to show that Byun is a rather mellow and peaceful man until he starts drinking. Deul-ho interrupts, causing Eun-jo to stumble over words. He knocks down Eun-jo’s case for diminished capacity and contends that Byun is an innocent man who did not commit the crime in any capacity. The judge denounces the co-counsels for not being on the same page, and the trial is adjourned for the day. As Deul-ho and Eun-jo exit the courthouse, they’re met by a gaggle of reporters and photographers. Eun-jo is surprised to see them, but this is all part of Deul-ho’s plan for psychological warfare. Ae-ra, pretending to be a reporter, gets the ball rolling and has him share details on the case as well as his return. In a deliberate act of showmanship, Deul-ho triumphantly declares into the camera that he will prove the defendant’s innocence. When asked if he has any evidence, he beams smugly and responds with a question: Does he have the evidence or does he not? At home, Chairman Jung watches the interview and he’s unsettled by Deul-ho’s return. 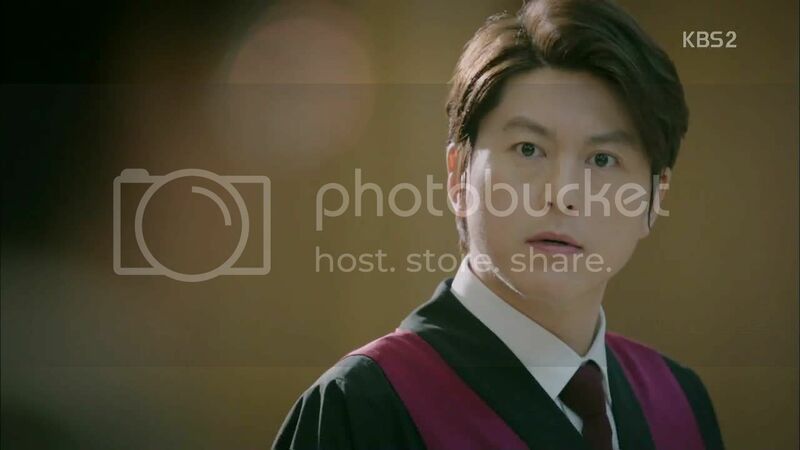 Chief Prosecutor Shin enters the room and notices Deul-ho in the news; his face hardens. In the broadcast, Deul-ho introduces Eun-jo and has her say a few words about Geum San law firm. With a booming voice and wild gesticulations, Deul-ho announces his return, not as a prosecutor, but as a lawyer, and declares that he will work together with Geum San to free the defendant. Chairman Jung and crew are none too pleased by Deul-ho’s reemergence, and Chairman Jung tells the chief prosecutor to get rid of Deul-ho. Ji-wook is confident he can win this case, but Chief Prosecutor Shin warns him that Deul-ho is a force to be reckoned with. 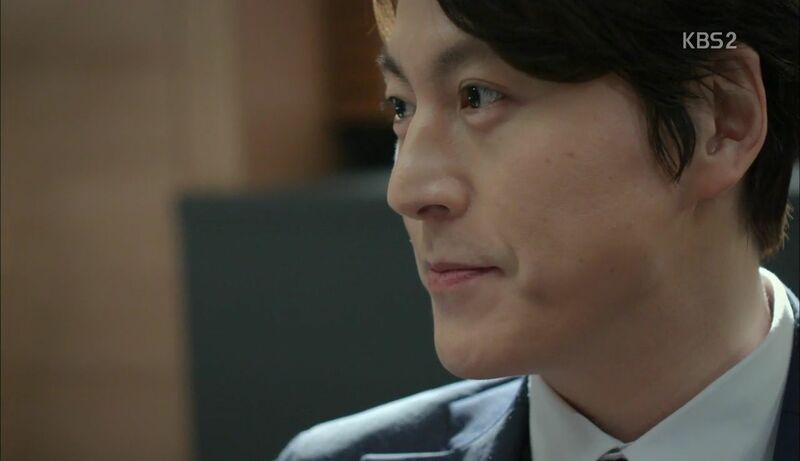 Ji-wook takes offense at what sounds like Chief Prosecutor Shin’s distrust in his ability. He declines the offer to beef up his staff, insisting that he doesn’t need extra help. 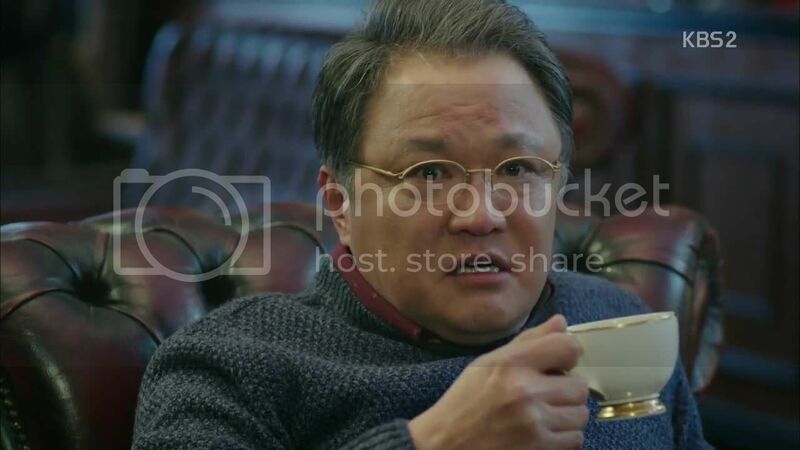 Chairman Jung strikes a deal with Deul-ho’s former father-in-law Attorney Jang, who oversees Geum San law firm. Chairman Jung proposes that if Geum San loses this case for him, he’ll entrust them with the sale of one of his subsidiary companies. Attorney Jang appears uneasy with this, but he thanks Chairman Jung for his generosity and says he’ll make sure Deul-ho loses. Deul-ho wants to speak to Mr. Byun’s friends or family members to see if any of them would be willing to testify or help his case, but Byun firmly rejects the idea; his family is off-limits because he’s already caused them enough pain with his poor decisions. 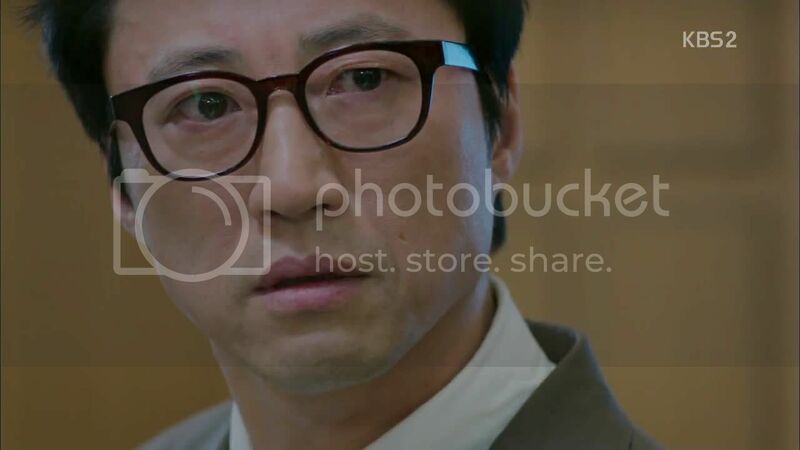 Attorney Jang orders Eun-jo’s boss, Attorney Kim, to have an associate spy on Deul-ho and report back on any findings, so he assigns this task to Eun-jo. She thinks this is an invasion of privacy, but she has no other choice but to comply. Deul-ho and Ae-ra struggle to push an old shopping cart filled with office supplies up a series of steps and into… the office of loan shark Dae-soo! They arrive unannounced and make themselves at home in Dae-soo’s office. Dae-soo is bewildered and tries to protest, but Deul-ho insists he’ll just stay for a month and in return, keep Dae-soo’s shady practices under wraps. Late at night, Deul-ho pores over documents and thinks back to the night of Il-gu’s accident. He was traveling in the back of an ambulance, frantically urging a bloody and unconscious Il-gu to hang in there. As Il-gu breathed his last breath, he unclenched his fist and gave Deul-ho a key attached to a necklace chain. Back in the present, Deul-ho clutches the key and looks at it intently before heading to the construction site where the murder and arson took place. Once there, he walks around with a flashlight, examining his surroundings and imagining how the events unfolded that fateful night in 2013. The scenes play out before him as he wanders throughout the building. We see the culprit arrive outside in a flashy sports car and remove the corpse from the trunk. He drops the body inside the building and sets it ablaze to disguise the crime as a fire. Meanwhile, Mr. Byun is sleeping on the second floor. Unbeknownst to him, he would take the fall for someone else’s crime, the same crime that almost landed Il-gu behind bars. Deul-ho imagines Il-gu’s reassuring hand on his shoulder as he continues to piece together what happened. He remembers that there were a total of six CCTV files collected from the crime scene three years ago, but only five were submitted to the police; one file is missing. 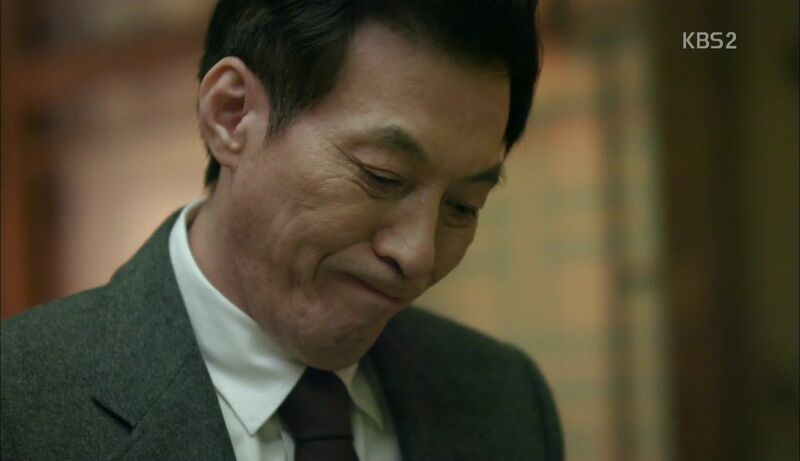 A call comes in from Ae-ra and she informs him that Detective Kim, the man who investigated this case three years ago, has since resigned and now runs a large BBQ restaurant in Gangnam; this seems suspicious to Ae-ra. Before he hangs up, Deul-ho tells Ae-ra to dig up his old photos of all the tire tracks that were near the crime scene. 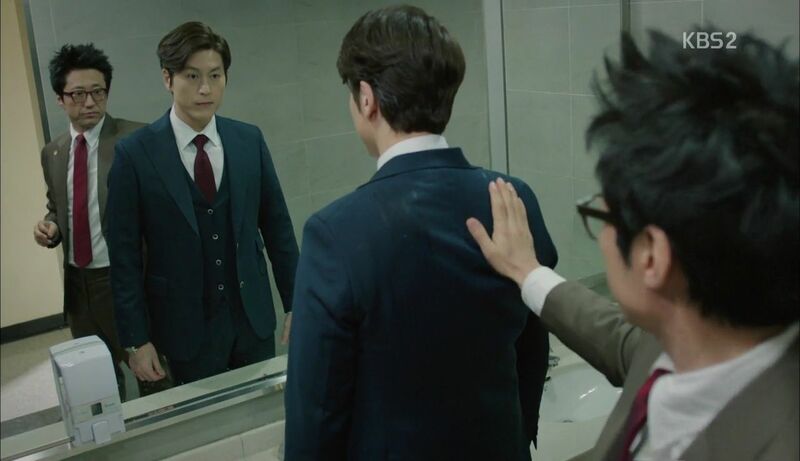 The following day, Eun-jo shows up at Deul-ho’s makeshift office to keep an eye on him, but it’s all too obvious for Deul-ho; he knows Geum San has her keeping tabs on him. 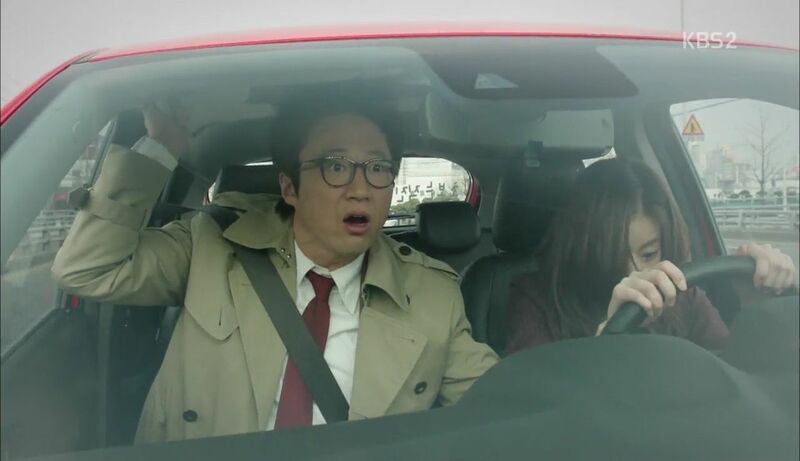 Eun-jo offers him a ride to wherever he’s heading, but they nearly get into an accident because she’s a new driver, and he spends the whole ride yelling at her and fearing for his life. They arrive at a tutoring academy and spot Mr. Byun’s son, a teacher there. He wants nothing to do with his father and refuses to testify or help, because he and his mother suffered tremendously due to his father’s brushes with the law. Before he storms out of the room, Deul-ho and Eun-jo notice a severe burn wound on the son’s right hand. Deul-ho gets a call and suddenly says he has a wake to attend, and leaves. Eun-jo secretly trails him, keeping her distance and ducking behind walls. She’s surprised to see him enter a “love motel,” grubby curtain entrance and all. She catches him getting yanked into a room by Ae-ra and is at a loss for words; she thinks she’s witnessing a real-life makjang. In reality, Ae-ra had been spying all day from the motel room, which overlooks Detective Kim’s BBQ restaurant, waiting for him to appear. They note that the restaurant is rather large and would have been impossible to acquire solely with police pension funds. Ae-ra notes that the restaurant isn’t bustling with customers. 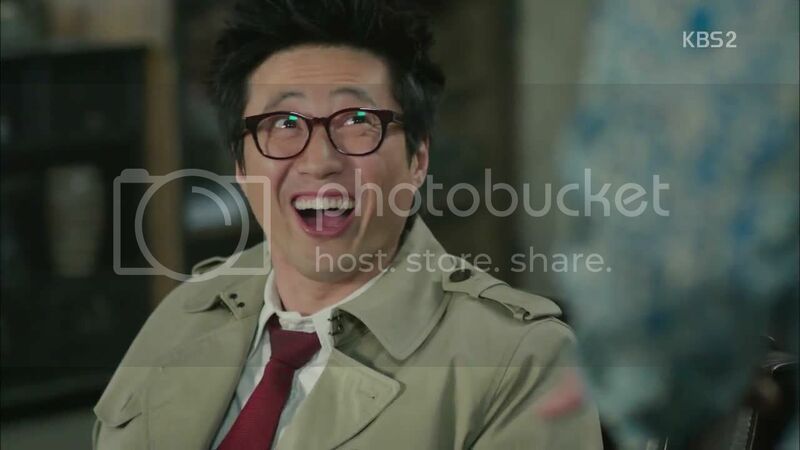 Moreover, there are rumors that Detective Kim is a gambler. 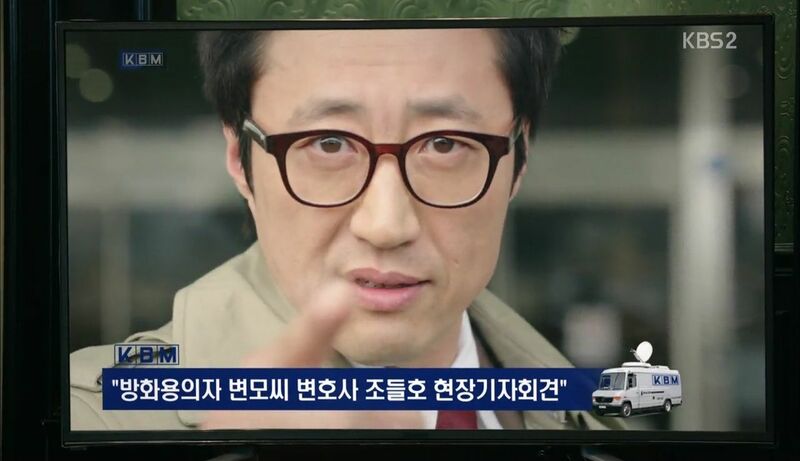 Ae-ra believes Detective Kim exchanged the missing CCTV file for the huge restaurant. Detective Kim finally appears and enters his restaurant to grab all the money from the register to gamble with. Ae-ra and Deul-ho follow him to his gambling den, but it looks like another man dressed in black is following them. Deul-ho surreptitiously watches as Detective Kim goes all in at the poker table, only to lose all his money in mere seconds. In a fancy traditional Korean restaurant, Chairman Jung has dinner with Chief Prosecutor Shin and Ji-wook. Turns out Ji-wook is Chief Prosecutor Shin’s son. 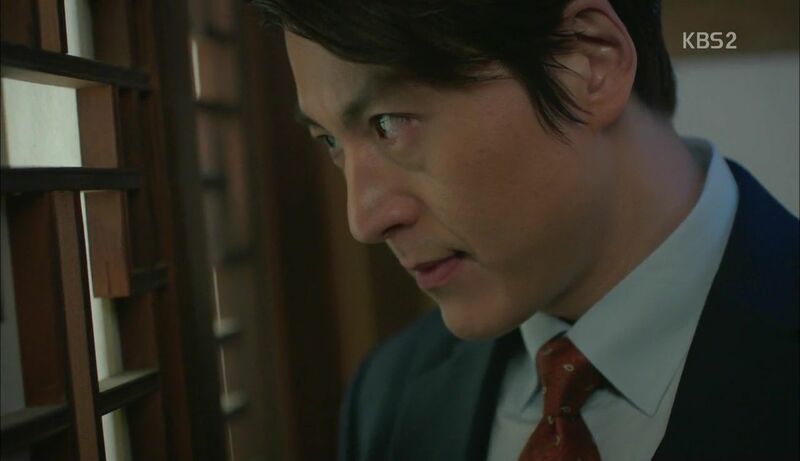 Chairman Jung asks about the case he’s working on, and Ji-wook asserts that Mr. Byun is 100% guilty and he’s confident that he will beat Deul-ho. Chief Prosecutor Shin feels uncomfortable, knowing full well that Byun is not the culprit. Ji-wook steps outside to take a call, and it’s from Deul-ho’s ex-wife Hae-kyung. He’s happy to hear that she’ll be coming to Korea. Chairman Jung is troubled by the fact that Deul-ho knows his son is the real murder culprit. Ji-wook overhears Chairman Jung asking his father if Jo Deul-ho can indeed be defeated in this case. Chief Prosecutor Shin sighs and says he’ll cover for his lacking son. He’s not confident Ji-wook can win the trial, and neither of them can deny Deul-ho’s exceptional capability. Ji-wook clenches his fist in fury upon hearing his father’s doubts. Deul-ho pushes Detective Kim against the wall and inquires about the missing CCTV file. He reminds Kim that if Chairman Jung finds out he has a copy of the file, Kim will cease to exist and his gambling days will be over. Just as Deul-ho leaves, the dark figure who had been following him reappears and looks at his phone. The next morning, as Eun-jo reports her findings regarding Deul-ho, her boss Attorney Kim swipes through the photos the dark figure had taken while spying on Deul-ho. 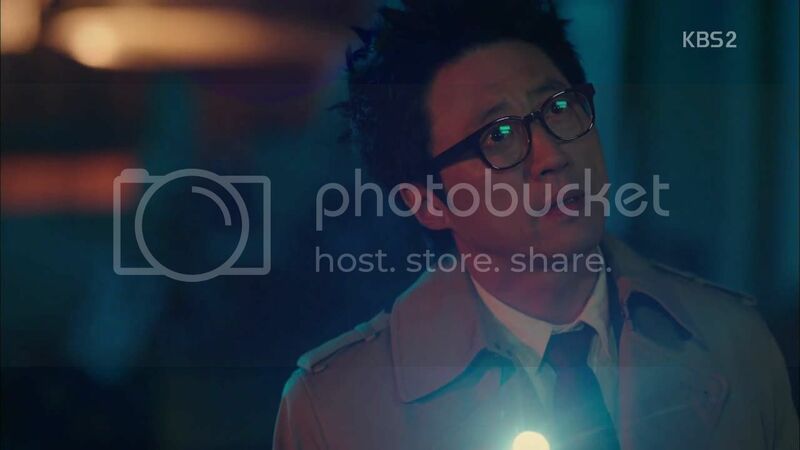 Nothing from the report or the photos seems to concern him except when he lands on a picture of Deul-ho speaking to Detective Kim. Eun-jo has dinner with her mom, who says that her stepfather would like Eun-jo to come live with them. Eun-jo declines, saying she likes her current living situation. She spills to her mom that she really wants to do well on her first case, but Deul-ho’s crazy antics drive her nuts. All the photos of various tire tracks from the crime scene are spread out on Deul-ho’s desk; he observes all of them, looking for clues. The next morning, Ji-wook sprints on the treadmill, angrily thinking back on his father’s conversation with Chairman Jung. His own father doesn’t believe in him, which makes him even more determined to win when the trial resumes. 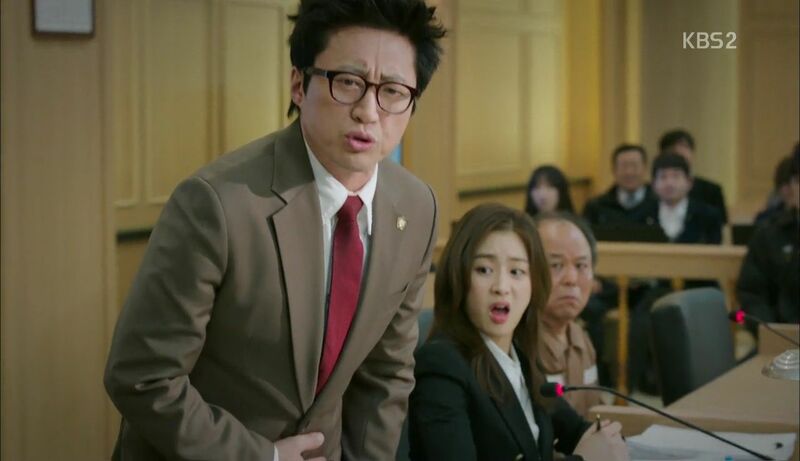 Moments before the trial, Deul-ho begins to drill Mr. Byun on what to say in court. In order for the real culprit to be captured, Byun needs to become an eyewitness and be able to recount everything he saw that night. Byun protests by saying he saw and recalled nothing, but Deul-ho tells him to focus on the story he’s providing—Byun was asleep when he smelled something burning. He woke up, went to the nearest window for fresh air, and saw a man in his 20s get into a sports car and drive away. Deul-ho holds up a picture of tire tracks and tells Byun that the real perpetrator was the driver of the sports car who left behind these tracks. Eun-jo enters just then and is incredulous to see Deul-ho trying to get Byun to lie on the stand. She suddenly realizes that Deul-ho knew who the real culprit was all this time, hence his certainty that Byun is innocent. She’s frustrated that Deul-ho hasn’t filled her in on anything despite their co-counsel relationship. Everyone returns to the court room, and Byun recites verbatim what Deul-ho taught him, albeit a bit shakily. As he mentions the sports car, this triggers a memory and Byun actually recalls seeing a sports car; his eyewitness account begins to sound more convincing. Deul-ho stands up and explains how Byun became a defendant in this case when he’s actually a witness. No one believed him despite his honest account of what happened. Instead, people turned him into the perpetrator by pointing to his criminal history and the burn wounds on his back. If people had listened to his testimony earlier, the culprit would’ve been caught by now. Deul-ho directs attention to the TV monitor, which showcases all the photos of different tire tracks from the crime scene. The answer, he says, is in those photos. Ji-wook doesn’t believe in Byun’s sudden bout of clarity and his detailed eyewitness account, when up until this point Byun’s memory was so unreliable. He asks Byun if someone made him memorize that fake story, and he looks straight at Deul-ho while waiting for an answer. Ji-wook presses Byun to answer whether or not he was fed lies. Suddenly, Byun bolts up and shouts that he clearly saw everything he said he did. No one believed his eyewitness account in the beginning, and everyone accused him of being an arsonist and murderer. His indignation rising, Byun asserts that Deul-ho was the only one who believed him and his innocence. Eun-jo and Ji-wook are at a loss for words as Byun thanks Deul-ho. This is a new side of Byun that no one’s seen before and it looks like he really means what he says this time; he’s finally standing up for his innocence. Maybe he really is the eyewitness Deul-ho has been hoping for? I really enjoyed the balance of humor and drama in this episode, and am not in the least surprised that Deul-ho is the one who is supplying both. He understands the gravity of this case and takes his work very seriously, but he’s not above doing something as silly as relying on theatrics to help his cause and perturb the people who ambushed him and sent him to prison. Eun-jo is a perfect foil for Deul-ho. She’s such a novice in the courtroom. When she was conducting her cross-examination, I couldn’t help but cringe. Evidently, she was choosing her words carefully, but it was hard to follow her thought process and the connections she was trying make. I breathed a sigh of relief when Deul-ho interrupted her. Eun-jo is quick to jump to conclusions and her thinking is rather straightforward, but I love her indomitable spirit! She gets bossed around at work, but she’s tough and handles it well. She’s also no wallflower, and I like that she speaks up. Eun-jo is almost too ordinary compared to Deul-ho, but the two share morals of a similar nature. Their hearts are in the right place, and in due time, I’m sure Eun-jo will learn how to be a savvy lawyer like Deul-ho. I’m so relieved Deul-ho has someone as smart, loyal, and trustworthy as Ae-ra on his side. She’s such a scene-stealer as Deul-ho’s right-hand woman. Together, they’re such a dynamic duo. That shopping cart scene was hilarious and so ridiculous; I loved every minute of it. 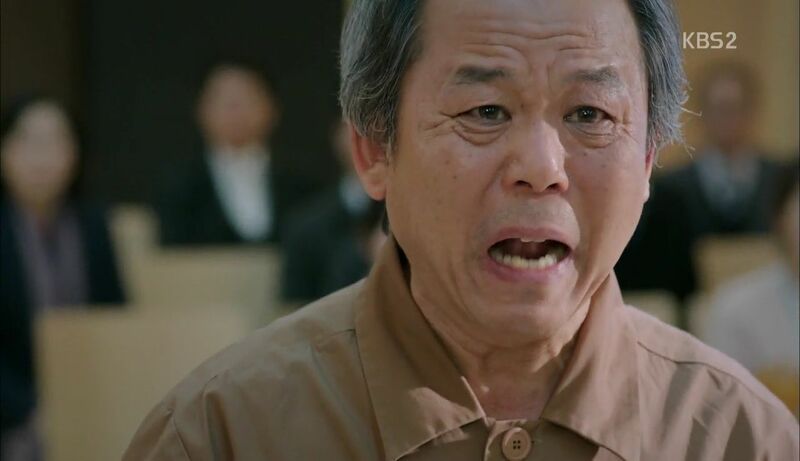 I have to admit that this murder and arson case isn’t the most enthralling because the defendant is so frustrating, we have yet to see our culprit, Chairman Jung’s son, and the courtroom scenes aren’t all that dramatic. However, I’m sure this will change now that Deul-ho is back in action, introductions are over, and the case is now in motion. Deul-ho’s dead-set on absolving Byun and catching the culprit, and I’m eager to watch. Very little has been shown regarding Deul-ho’s ex-wife Hae-kyung and their daughter, and I’m curious to learn more about the discord that drove the couple apart. There’s still many unanswered questions and I know we’re just at the tip of the iceberg. I like what I’m seeing so far, but I’m ready for more. More drama, more hijinks, more cases, and more Deul-ho! 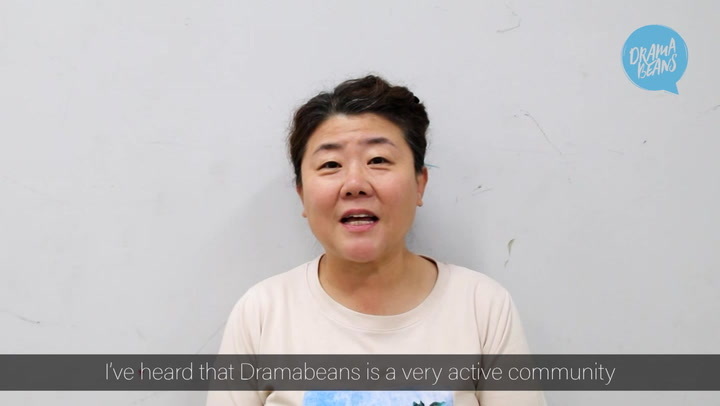 I am a loyal reader of dramabeans, but a very infrequent commenter. After reading this recap, I just had to say something: First, welcome to the recapping fold, chickacunga! And secondly, what an awesome job on this recap. It is clear, well-written, and has a very engaging tone. I thoroughly enjoyed reading it from start to finish. Keep up the great work. Can't wait to read your future recaps! Love this drama. It certainly deserves the top spot. I'm not familiar with lawyers and laws in South Korea, but could you actually do what Jo Deul did? I thought he was a criminal and they would revoked his license to become a lawyer and all that, but he walked in as if he overslept and nothing happened. Well, he's got his license suspended for a year and it has been three years since the chairman case gone wrong. I think it would be difficult for him to get back to work as a prosecutor but a lawyer is something he is still allowed to be. Welcome, chickachunga. Hopefully we'll learn where your name comes from someday. I've only read a small portion of your recap so far because I haven't started this drama yet, but I will soon. However, I very much enjoyed the part that I read. And the lead screencap is great! This is the drama to beat. Srsly dropped all others for this. Thanks for the recap, chickachunga! I enjoy every episode. Great tempo, great actor, interesting and intelligent director, cheerful and energetic writer. In Russia, the drama takes only one fansub group. Drama is very underestimated. DOTS is nothing compare to this drama. Real acting without idols and real emotions..A brilliant drama.